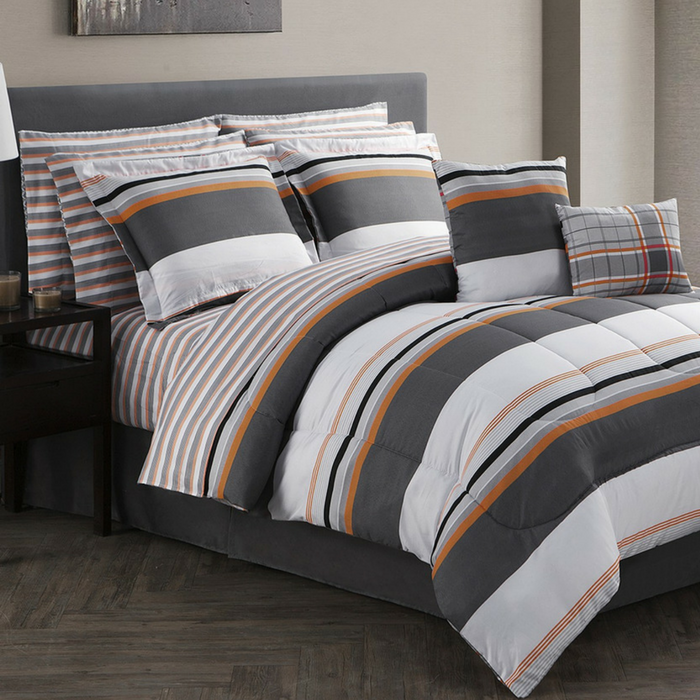 12-Piece Reversible Comforter Set Just $39.97! Down From $160! You are here: Home / Instagram / 12-Piece Reversible Comforter Set Just $39.97! Down From $160! Give any bedroom a cozy classic look and feel with the bold plaid pattern and stylish stripe reverse of this Jasper comforter set. Complete with coordinating decorative pillows, sheets and a bedskirt, this ensemble includes all the pieces needed to fully update your room’s decor.